KMNO 91.7 FM — Thoughtful. Creative. Eclectic. Radio! Mana’o Radio is proud to be one of only a handful of stations to simulcast the 50th anniversary of the New Orleans Jazz & Heritage Festival live from New Orleans from Thurs April 25 to Sun May 5 to its listeners on Maui on KMNO 91.7 FM, and to the rest of the neighboring Islands here at www.manaoradio.com. This simulcast is UNDERWRITTEN BY THE DOWLING COMPANY AND CHAUFFEURED SERVICES and provided in partnership with WWOZ 90.7 FM New Orleans, the worldwide voice, archive and flag-bearer of New Orleans culture and its musical heritage. Jazz Fest is much more than one of the premier — and most beloved — festivals in the world. It is a signature cultural event for its home city, rivaling Mardi Gras as one of New Orleans’ global calling cards. With 12 stages of soul-stirring music—jazz, gospel, Cajun, zydeco, blues, R&B, rock, funk, African, Latin, Caribbean, folk, and much more—the New Orleans Jazz & Heritage Festival is a singular celebration. The event has showcased most of the great artists of New Orleans and Louisiana of the last half century along with renowned international performers. More information available at www.nojazzfest.com. WWOZ 90.7 FM is a community New Orleans Jazz and Heritage Station, currently operating out of the French Market Corporation Offices in New Orleans, Louisiana. Like Mana’o Radio, they are also a listener-supported, volunteer-programmed radio station. 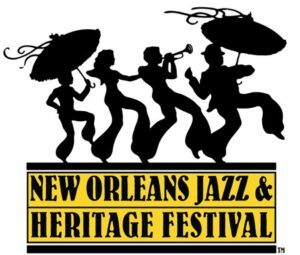 WWOZ covers many events live in and around the city and across the United States, including broadcasting live from the famed New Orleans Jazz and Heritage Festival annually. A complete schedule of programming for Week 1 and streaming options is now available here and on our Facebook Event Page.